This consists of three basic word puzzle games wrapped in a rain forest theme. The game has three game modes: Eliminus allows one to four players remove lettered tiles from a board and use them to make words; Populatica is similar to scrabble with players placing interlocking words on a grid; Jumblara is an anagram game where a single player races against the clock to form words from letters that fill up a board. 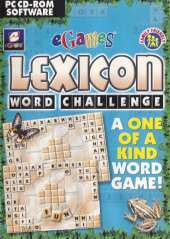 There are three difficulty levels of computer players available to compete against and an extensive customizable dictionary of allowable words.